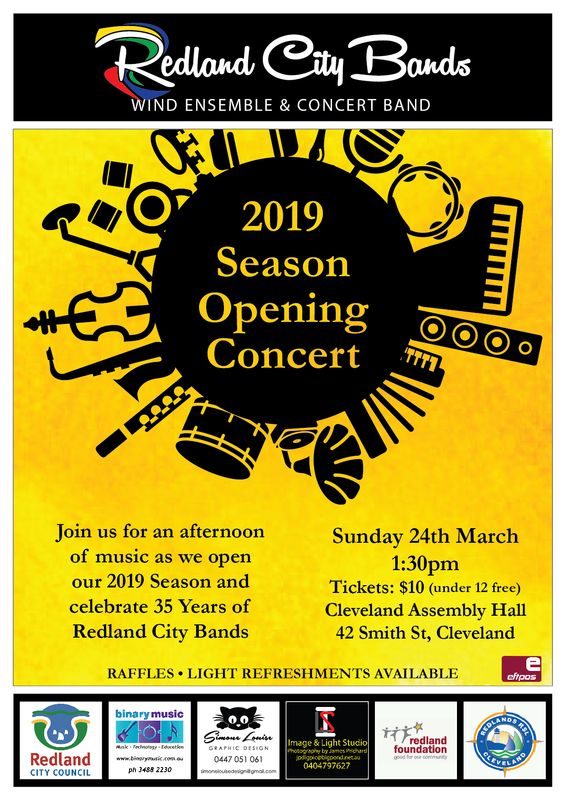 Redland City Bands present their first exciting concert for 2019 on Sunday afternoon 24th March commencing at 1.30pm at the Cleveland Assembly Hall entry via Smith Street featuring two of their bands – the Concert Band under the direction of Mr Peter Francis and the Wind Ensemble under the direction of Ms Louise McGill. Bring your family and friends to enjoy a spectacular selection of music. Wonderful raffle prizes, light refreshments included. Admission is only $10 each, with children under 12 free.